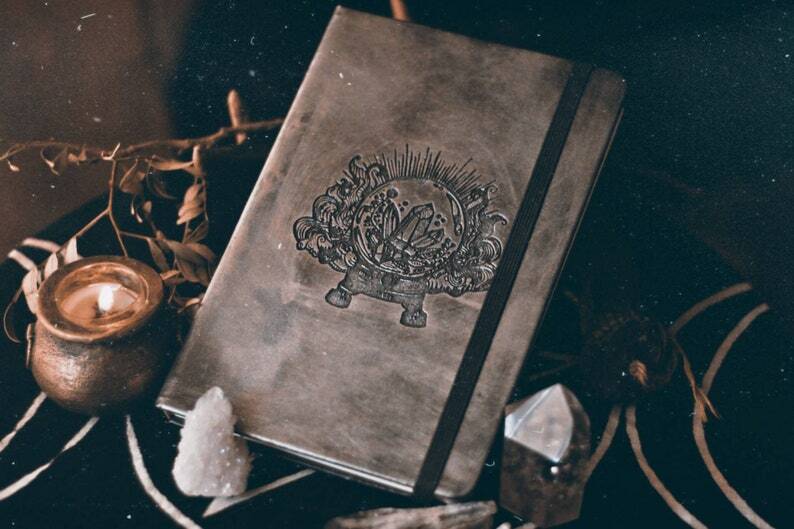 This is an Ancient Hearts original design on a custom vintage style A5 notebook that you can use as a diary or a book of shadows. The Design shows a little crystal world. If you are interested in a custom book or personalisation, please write a pm.